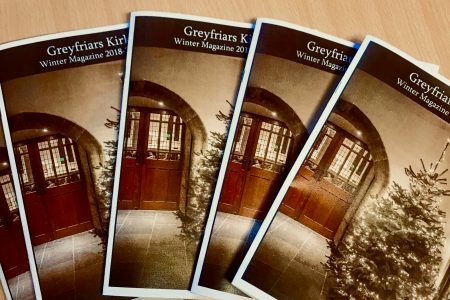 Our new Kirk Magazine for Winter 2018-2019 is out, featuring stories about our new Associate Minister Ken Luscombe, HMY Iolaire, poetry from Seamus Heaney and more! Pick up your copy today at the Kirk, or click the magazine below to read online. 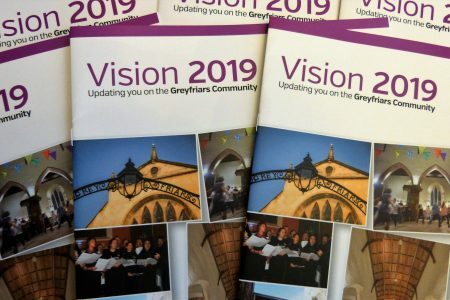 The Vision 2019 Magazine is Out! 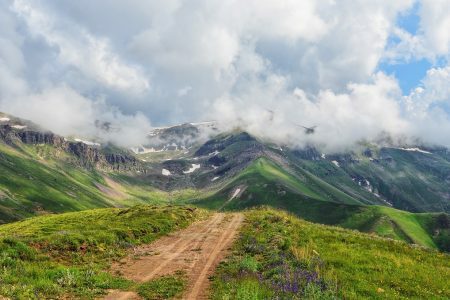 The Vision 2019 magazine is here! Pick up your copy on the congregational table at the Kirk, or click the image below to view the magazine online. Students: Are You Musical? 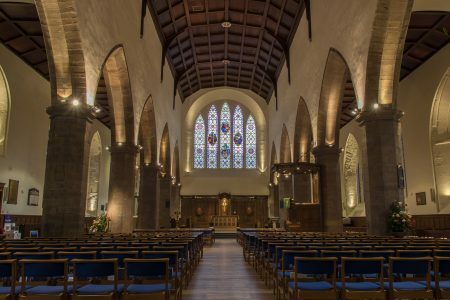 Join the Greyfriars Kirk Choir! Are you musical? Would you like to share your gift and earn money at the same time? If so, we would love to have you join the Greyfriars Kirk Choir, or play the organ at our services. Do you have a friendly and welcoming manner, good communication and interpersonal skills, and an interest in history? Serving as a volunteer Kirk Welcomer may be for you! Are you interested in helping at our concerts and arts events? Do you like music and being in a busy environment? 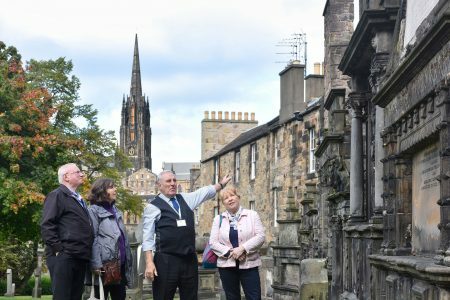 If so, volunteering with our Event Stewards at Greyfriars might be the place for you!